Alpha is a 10 week course exploring life, faith and meaning. …and finishing with discussion, a chance for you to have your say! There are no strings attached, everyone is welcome whether they have faith or not, and no question is too big or too small. 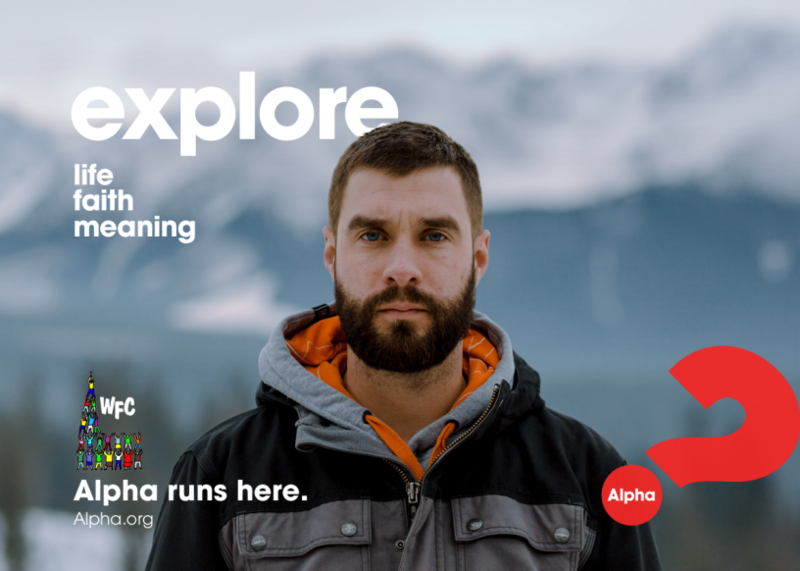 Alpha is a safe place for us to explore meaning together. We are currently running three courses. Although these have started, you’re more than welcome to join us, we can help you catch up, so why don’t you come along and try a session and see if it’s for you! If you’re interested, fill out the form below, and we’ll get in touch with details.